Pink Castle Blog: Moving Sale! It's true, we're moving! Although the current location has served us well, we've found a new place that's going to be even better. More space! Better location! Easier to find! To celebrate (and ease the strain on our poor backs), we've marked down tons of fabric throughout the store. Check out our huge Sale Collection to see everything we have for you. A huge portion of our quilting cotton inventory has been reduced to $7.00 a yard! And there are plenty of bundles and other great items as well! Even better, our SUMMER20 coupon is still good through Sunday night. So for every order over $50, you save 20%*! That works out to $5.60 per yard for most quilting cotton! * SUMMER20 code not valid for monthly clubs, gift certificates, Camp Stitchalot, or presale items. 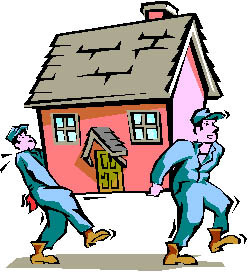 ** Oh, for our local customers, the move isn't actually happening until August, so please, stop by and visit us! We'll give you plenty of notice before we actually make the switch, and the new place is going to be much, much easier to find.